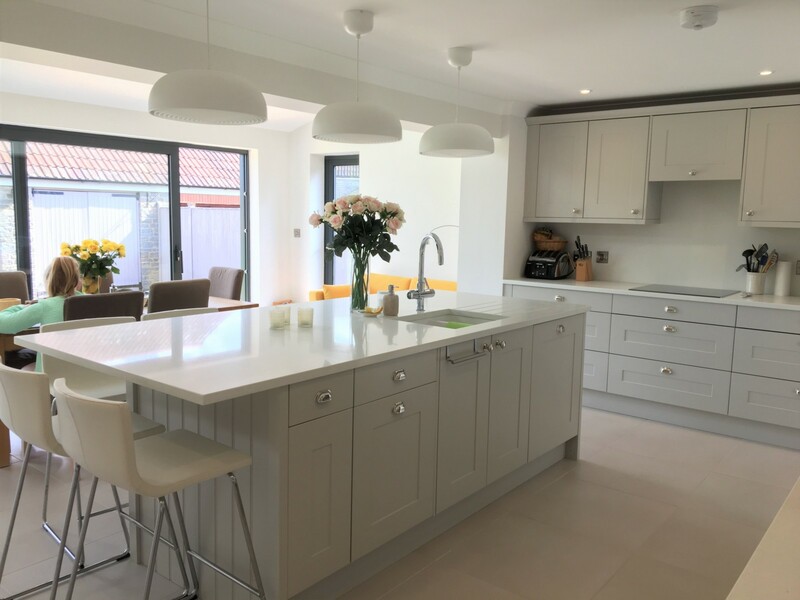 At Landford Stone we’ve been supplying Teltos quartz worktops for over 4 years and are absolutely thrilled with the product. We maintain ‘we are the best’, and therefore stocking the best material to deliver to our customers is paramount! 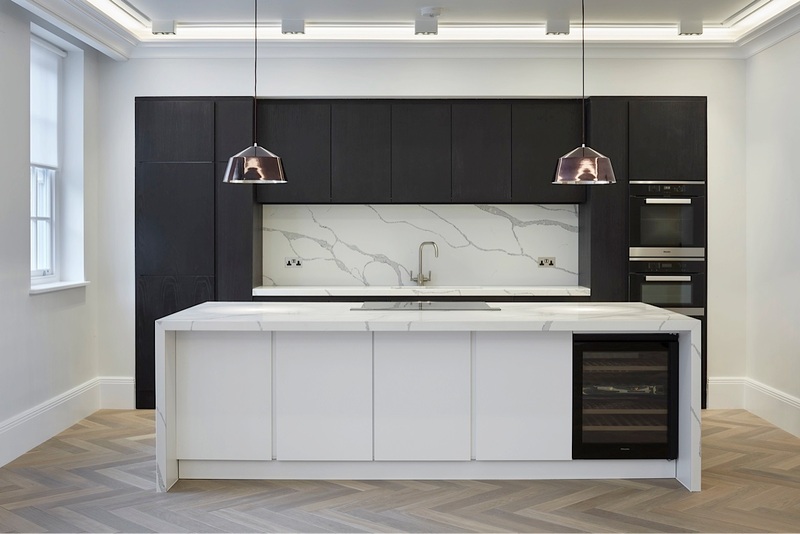 There are a great number of engineered quartz materials on the market and as a customer it can often be difficult to distinguish between them. At Landford Stone we were proudly the first stone yard in the UK to stock Teltos Quartz and we still buy direct from the factory in China, which means no middle-man, no UK distributor mark-up and competitive prices that are passed on to our customers. The polish on Teltos is superior to any other engineered quartz because of an increase in the number of polishing heads used on the slabs. Whereas with other products, from certain angles you may be able to identify wheel marks (caused from polishing heads) with Teltos you can’t. Teltos is both crushed at higher pressure and fired at a higher temperature than other materials – which gives you extra hardness, extra wearability, and near total resistance to staining. All engineered stones contain a level of resin, which does make it more susceptible to bowing under pressure. Teltos contains minimal resin levels, giving you an extremely densely packed and solid worktop. The quality control in place at the Teltos factory is extremely thorough! We’ve seen it first-hand. Each slab is carefully examined by hand and every imperfection noted. 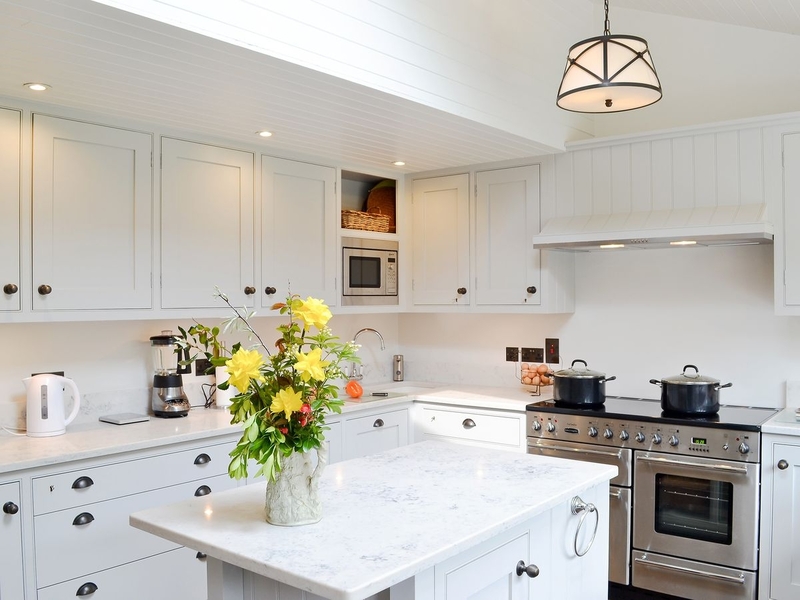 At Landford Stone we only EVER but first quality materials material and are thrilled to say we have NEVER had problem, complaint or issue with Teltos. We are 100% confident in the quality of Teltos material 100% of the time. Teltos is incredibly popular and we are currently completing one or two Teltos installations daily! Our marble-effect Teltos Statuario and Teltos Calacatta Borghini are our current bestsellers and offer a fantastic alternative to marble. Real marble is a calcite and will react to acids. So, for example, if you were to spill orange juice on real polished marble, a chemical reaction will inevitably occur and when light shines on that area you will see a slight dulling of the polish. 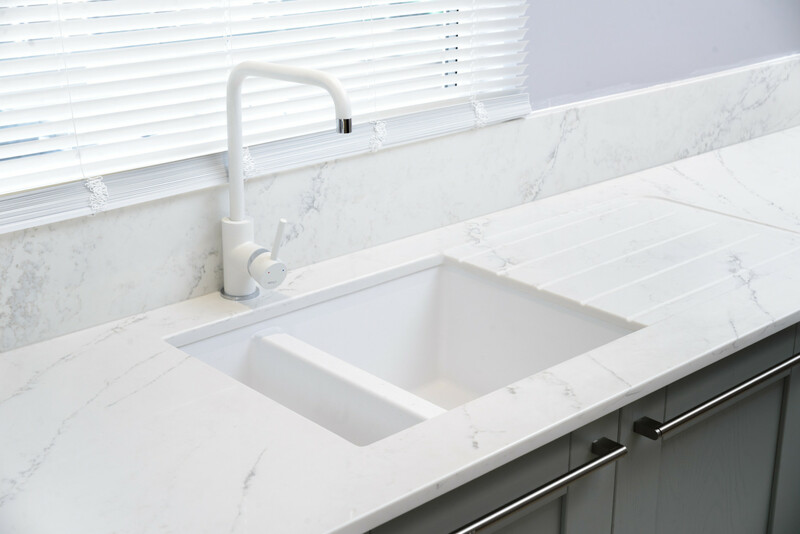 With Teltos you can get a gorgeous, durable marble-look worktop without the drawbacks or real marble. Another huge selling point of our Teltos Statuario and Borghini is bookmatching. With our marble-effect Teltos we are able to bookmatch slabs to achieve a near seamless pattern across your worktop. We currently stock 20 different Teltos colours, all of which can be seen in our Teltos showroom. We’re thrilled to share that this year we will be adding 4 new brilliant Teltos colours to this collection and our Director Molly will be going out to China for another visit to the Teltos factory. Watch this space!